I just finished this collage yesterday and I wanted to share it. 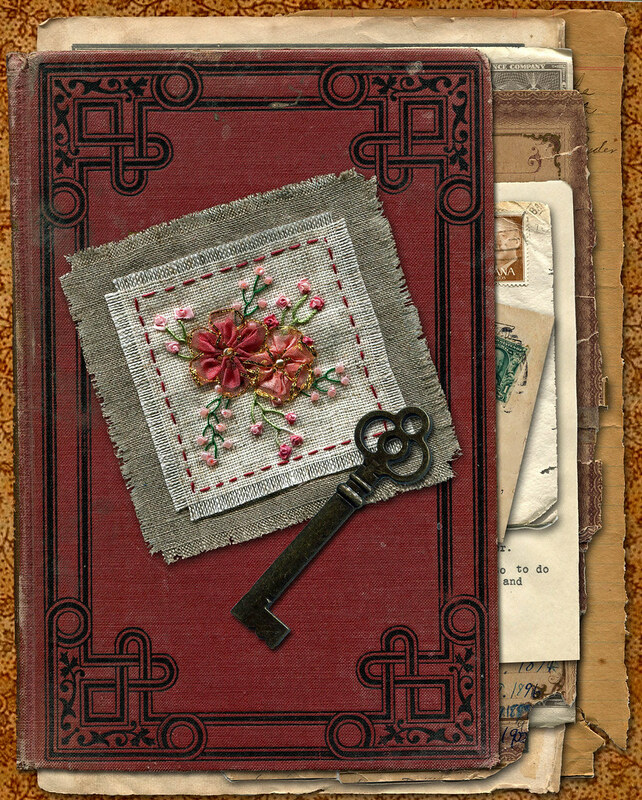 It uses several of the Vintage images I have collected and I collaged them together in Photoshop elements. An 1861 envelope, that was flattened and scanned was used for the base. 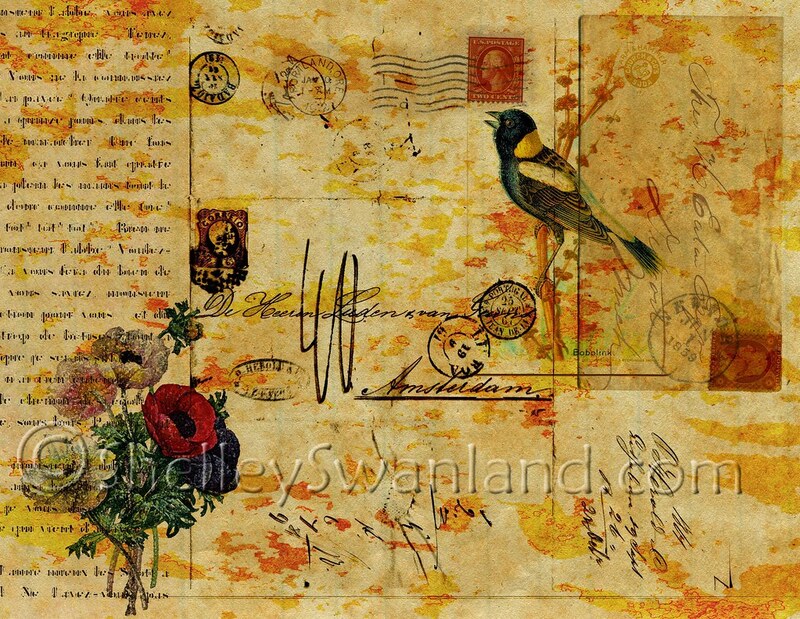 Writing from a french book, postage from an early 1900s envelope, an envelope from 1859 and the vintage flowers and the bird were altered and then merged. I then added a painted layer over the top. I have already printed a version of this collage on fabric and it will become a future Twilt. 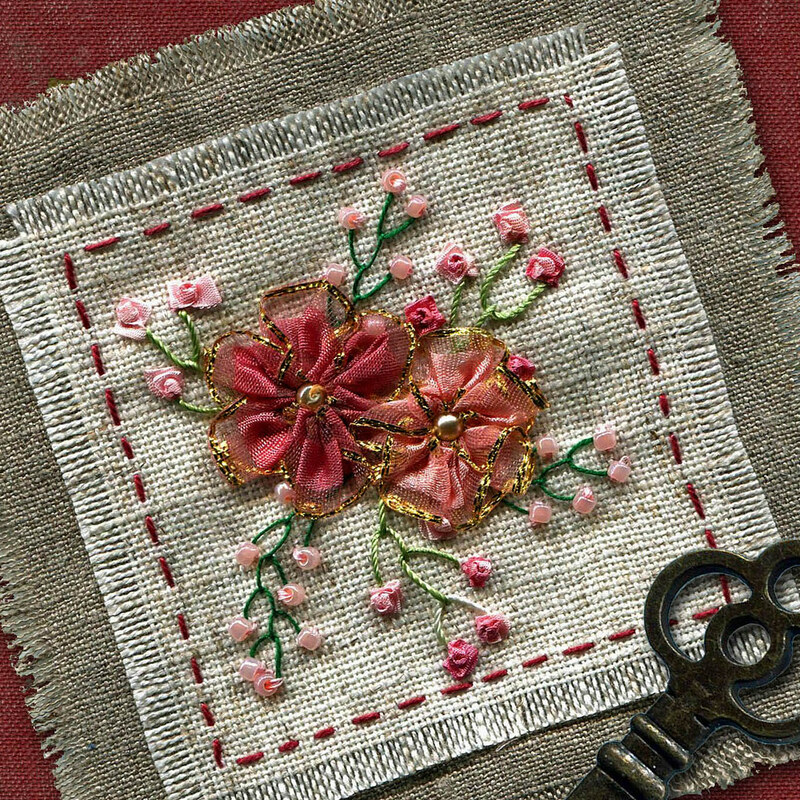 I plan to add embroidery and embellishment. The graphic I want to share with everyone is the image of the 1859 envelope. It’s hard to believe that it is 153 years old. Don’t you wonder who Theo was? The bird I used in the piece was from Karen at The Graphics Fairy. She has lots of free vintage art so check it out. Let me know what you think and Thanks for visiting!